A beautiful 18ct white and rose gold ring, set with a band of sparkling diamonds. A contemporary cross over design, suited to all occasions and wear. 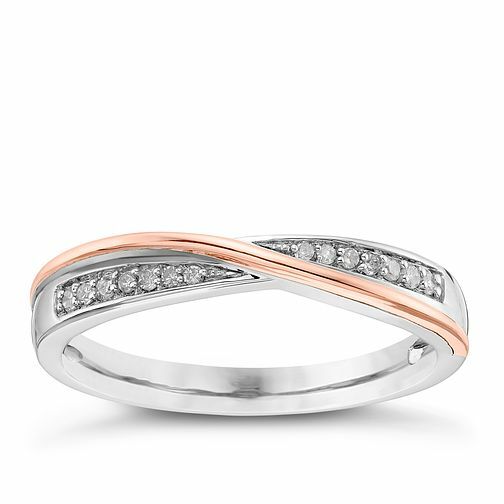 The perfect ring for your wedding, anniversary, or merely as a token of your love.